They come from the land of the ice and snow, invading Record Store Day April 21 like land-grabbing Visigoths of Yore: Led Zeppelin recently announced its first-ever Record Store Day release, a 7-inch single consisting of unheard mixes of “Rock and Roll” and “Friends.” Both mixes, produced by Jimmy Page, have elevated Record Store Day from a celebration of vinyl to a homecoming as the band emerges from the mists of Avalon to celebrate its 50th Anniversary. Whereas “Rock and Roll” is powerful a call to arms, “Friends” is a more subtle, evocative song that rewards repeated listening. The second song on Led Zeppelin III, “Friends” captures the mystery, adventure, and musical versatility that has always set Led Zeppelin apart from hard rock bands such as Deep Purple. The song, employing strings and bongo drums, a folk acoustic turn from Jimmy Page, and a piercing Robert Plant vocal, imparts a distinct Middle Eastern vibe that is even more pronounced in the stunning live version that Page and Plant recorded with an Egyptian orchestra in 1994. A version recorded with the Bombay Orchestra was released as part of the deluxe edition of Coda in 2015, which features a more dissolute vocal from Plant. 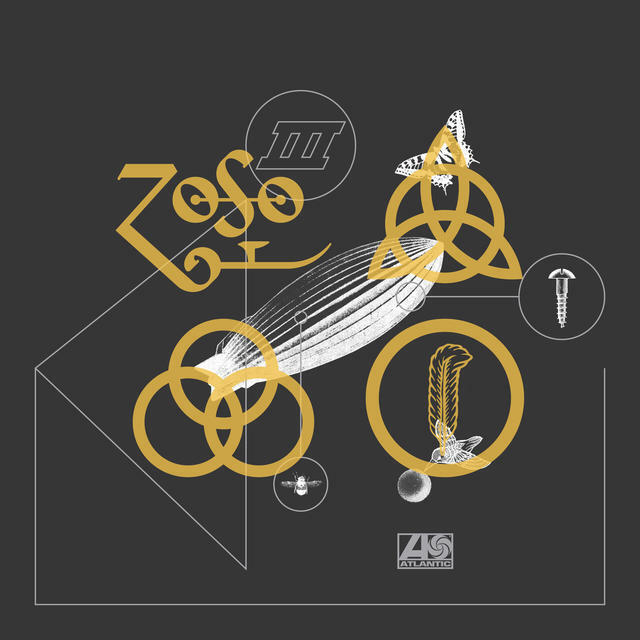 When you experience “Friends” in its three most popular versions — the original, the Coda reissue, and the collaboration with the Egyptian orchestra — you can hear the foundation that Led Zeppelin was building for “Kashmir,” five years later. “Friends” stands alone as psychedelic, cross-cultural masterpiece. This entry was posted in Music and tagged "Friends", "Rock and Roll", David Deal, Jimmy Page, Kashmir, Led Zeppelin, Led Zeppelin III, Record Store Day, Robert Plant, RSD, Superhype. Bookmark the permalink.